The search is over for Phoenix’s best Topgolfers, and Marty Jertson and Chris O’Connor took the crown! These players are gearing up to head to the Topgolf Tour Championship in Las Vegas on Oct. 14-16 to compete for $50,000! In Las Vegas, they’ll compete against the winning teams from 18 other regional tournaments held across the U.S. and U.K. The Topgolf Tour is our international search for the best Topgolfing duo. 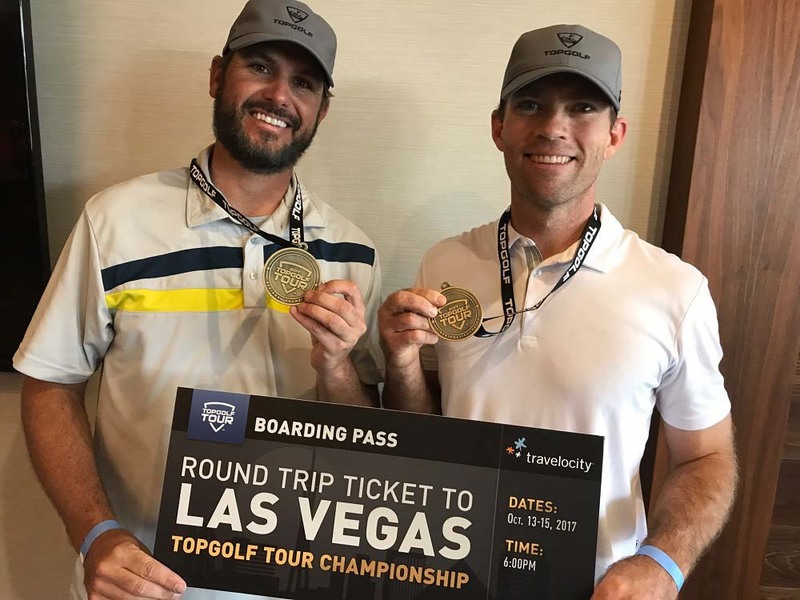 In addition to being open to amateurs only, the Topgolf Tour is the first golf tournament series where men and women compete for the same prize and play the same format. Two-player teams – a mix of both men and women – compete in 20 regional tournaments from July – September. The winners from each region advance to Las Vegas for a chance at $50,000 and the title of World’s Best Topgolfers.